The DN-2 Photocell is a compact/rugged daylight switch that can operate both compact fluorescent lamps and incandescent lamps. The unit has a long, tapered sensor tube which makes it easy to install into light fittings. Two 3mm mounting holes are also provided. The unit features a high degree of lightning protection to provide many years of trouble free operation. 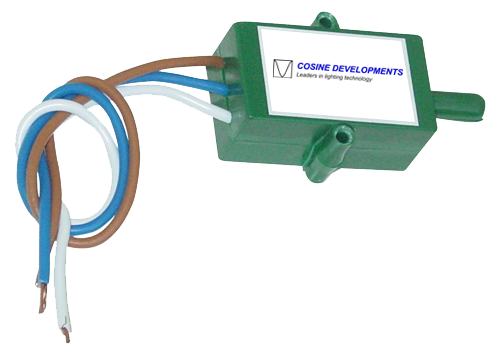 The DN2-L version has the sensor connected by a fly lead. > Drill a 9mm hole in the side of the luminaire for the sensor to detect natural light.